A reactive approach, when your team waits for a visitor to find a chat button and send a message, is no longer enough for modern customer support. Proactive chat, on the other hand, lets you take the lead and offer timely help to visitors before they even know they need it. How do I implement proactive customer support for my online business? You’re in a store looking to buy a new phone. Maybe you’ve already set your mind on a particular model or just want to check the options. Either way, you’ll probably have a question or two before deciding on a purchase. How long does it hold a charge? What’s the warranty period? You have two options here. You may go and find a sales assistant to ask those questions. Or you can google them on your own. But if a company has implemented proactive customer service at their store, there won’t be a need to look for sales assistants all over the place. Most likely, they’ll approach you 5-10 minutes after you’ve come to the store. You don’t need to ask for a help, you don’t even have to make a single move. You just stay in the phone department, because those assistants are there to help you proactively. So, that was the most basic example of how brick-and-mortar businesses use proactive customer service. The truth is, it’s even easier to implement one if you’re an online business owner. All you need is to set up proactive chat messages to pop up at your website. A proactive chat message is a fully automated message that invites your chat visitors to start a live chat conversation. What you need to set it up is a live chat tool like HelpCrunch. 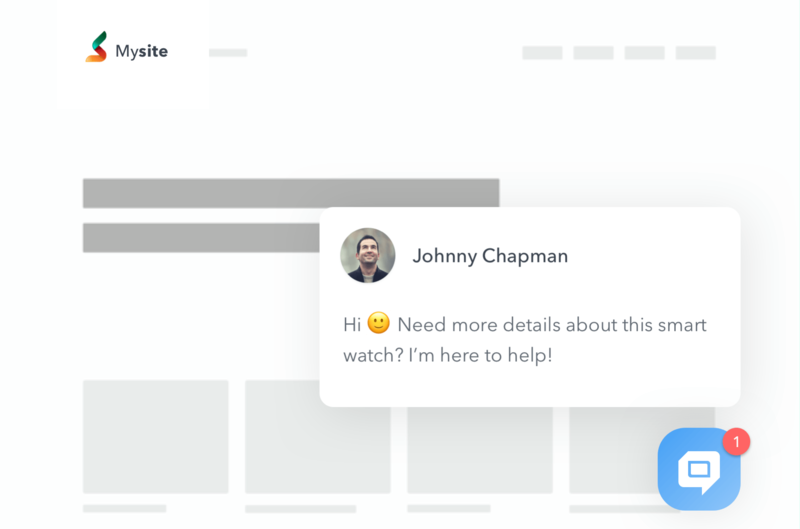 You should first install the HelpCrunch live chat widget into your website (it’s literally a 3-step process). 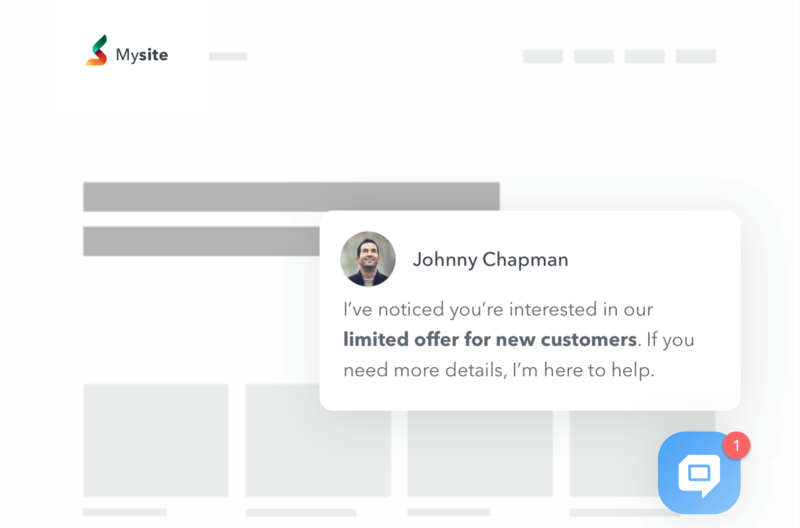 When done, you’ll get a nice chat button at the bottom of your website, where people can communicate with your realtime. From now on, HelpCrunch will be your high-end channel for communicating with customers. It’ll also collect all kinds of personal and behavioral data about them – from their browser language to location to recent activity. So when you log in into your HelpCrunch account, you’ll see the ‘Auto messages’ section there. That’s where you can set up a couple of proactive chat messages that will be triggered by certain behavioral or personal criteria. For instance, you can choose behavioral-based triggers like current page, visitors’ time on page, order history. So whenever someone matches the criteria, they’ll see a personalized chat message offering help. Not all of visitors are willing to chat with your support team when they have questions. In fact, most of them are more likely to leave than to hit the chat button. What is great about proactive chats is that you can anticipate those difficulties and offer your help to visitors. This will nudge them to stay and ask instead of leaving. Now, there are certain rules (based on good manners and common sense, more than anything else) that will allow you to really engage customers instead of irritating them. 1. Give visitors time to navigate your site on their own. For starting out, we recommend setting a message trigger at between 30 seconds to 1 minute. There’s only one exception to this rule – your pricing page, as the visitor may be scared away if he sees a high price. So it may be better to launch a message even after 5-10 secs and explain all the benefits or offer a discount. 2. Fine-tune an appropriate wait time for firing a proactive message. Use Google analytics to determine visitors’ average browsing time and behavior for every page of your website. Your time lapse for a proactive chat should be shorter than the visitors’ normal time on page. 3. Make your proactive chat personalized. Phrase your message in a friendly, conversational tone and make sure it reads like a genuine human invitation and doesn’t seem robotic. 5. Give the customer a possibility to ignore your invites and to close the chat. There’s a fine line between a proactive help and being too pushy and irritating. You should offer your help, not shove it down your customers’ throat. 6. Don’t show a flashy chat window at every page of your website – that’s really annoying and will drive the visitors away. Choose a few of “strategic” pages for your proactive chats and make the most of them there. 7. Don’t invite people to chat several times during the same browsing session – especially if they have already turned down your invitation once. Set an appropriate trigger that will fire a message only once per each visitor. Proactive chats use cases and examples? As awesome as it sounds, you shouldn’t abuse proactive chats. They can rather increase your customers’ engagement or irritate your customers. Still, there are a few scenarios when a short and sweet proactive message can hit the nail on the head. Let’s say a customer has added an item to a shopping cart but doesn’t finalize the purchase. It may indicate that they are not convinced whether the product is a good value for money or they may have doubts about shipping costs. They can even have difficulties with the payment procedure. Knowing an average time a visitor spends on a particular page before completing a purchase (for example 50 secs), you can initiate a chat earlier (after 40 or 45 seconds) – and offer a helping hand. Visitors who come back to your site have some interest in your product or service, that’s for sure. By the time, you already have their data and are able to offer them a personalized attention. Greet them with a ‘welcome back’ message to build a friendly connection. Increase the basket value by offering complementary products and accessories or by informing the customer about promotional offers. For instance, if a customer has added a smartphone to a cart, you can ask if they need a case or a screen protector. If your analytics shows that visitors from a given region show a bigger interest in your product or have a higher buying potential, you can set up a targeted proactive message for them. Use Google Analytics (which integrates with HelpCrunch, by the way) to detect your low-performing pages. Given the weak engagement on it, fire a message based on time spent on a page to prevent the visitors from slipping away. Just make sure you phrase your proactive message in a way that will show your visitors that you understand a problem. On top of that, HelpCrunch has a very handy proactive rule called ‘Time before exit intent’. It allows to specify the time that a user should spend on a page before attempting to leave it (exit intent). At this point, they get a message (e.g. offering a discount). If a person is lingering on a specific product page for a longer time, chances are they have some doubts or questions about this product. To turn a hesitant visitor into a customer, you can trigger a message after 30 secs spent viewing a specific product. Thanks to visitor monitoring, you can track your visitors’ path, i.e. a referring URL from where they came from to your site. For instance, visitors can come from a landing page where you are promoting a specific product or deal. So there’s a bit of background information and you can tell what they are after on your site. All these proactive chat techniques allow you to automatically attract leads. In order to capture them, you can use a pre-chat form with the email as a required field. In this way, you’ll have your visitors’ emails to follow-up with them. And yes, HelpCrunch can do all these tricks. And how do you use proactive chats at your website? Share your tips in the comment section.